Watch Mad Men Season 7 Episode 14 online via TV Fanatic. Why not? 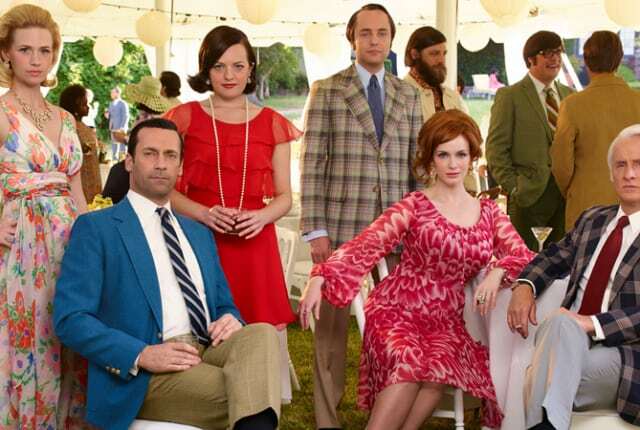 We have it available so why not watch Mad Men online right here, right now? When you watch Mad Men Season 7 Episode 14 online you will be witnessing the end of an era through a whole lot of people for whom you could not care less. That doesn't mean there aren't happy endings, however, so give it a try. Watch Mad Men online now! On Mad Men Season 7 Episode 14, the stories about Don Draper, his colleagues and his family come to a close in this series finale. Betty: Please don't let your pride interfere with my wishes. Ooh. That's fast. I feel like someone just gave me some very good news. Permalink: Ooh. That's fast. I feel like someone just gave me some very good news.